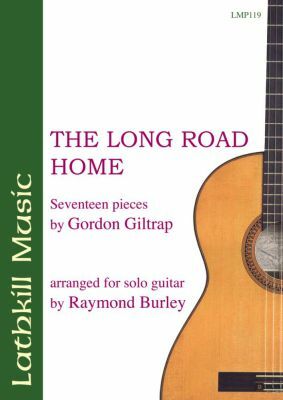 17 pieces composed by Gordon Giltrap arranged for solo classical guitar by Raymond Burley as played by him on his new CD 'The Long Road Home'. Fabulous pieces composed by one of the legends of the modern guitar all expertly arranged. Titles are: The Long Road Home, Secret Valentine, Kaz, Rainbow Kites, Tears of Joy, Simply Margaret, The Lord's Seat, London, A Misunderstood Man/Be With Me Always, From the Four Winds, Fell Runner, Daisy Chain, Who Knows Where Tomorrow Goes, Quest for Nonsuch, Tailor Bird, For Those Who Bring Sunshine, A Christmas Carol.